Art and Music Club - non-profit organization, offers community hours for high school students and volunteering oportunities. The work involve helping with kids, exhibitions and free community workshops. To set up an interview please call 416-833-8939. Effective January 1st, 2018 all fees are paid monthly at the beginning of the month. This program was developed to help students to see benefits of teaching profession and work with kids. Exhibition preparation. Intense Art combo for kids only with personal approach to each participant in small groups 2 -6 people. Our workshop price is $40 per workshop (with materials ). Intense 3 hour workshop ( acrylic, watercolour, drawing and sculpture) . 1. Acrylic Workshop. 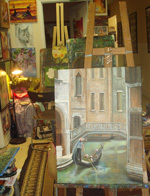 2 hours workshops during which you will create your own painting. 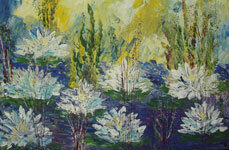 Emphasis will be on acrylic layering and using paint as a transparent, translucent and opaque water medium. Materials include your own canvas , paint, paintbrushes , pallet knifes ,references.If you have always wanted to boost your creative self or recharge your artistic inspiration this workshop is for you. 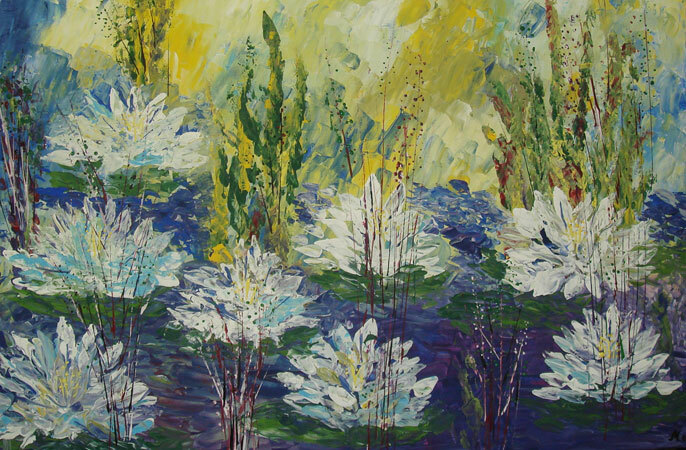 Emphasis will be on acrylic layering and using paint as a transparent, translucent and opaque water medium. 2. Watercolor Workshop. Expand your creative limits, as you learn new and experimental ways of expressing yourself with water based watercolour paints and experimental techniques. There will be continual demonstrations on how to achieve line, depth and texture in your work. Finishing techniques will be introduced and demonstrated. I want to inspire confidence and leave you fired up and excited to paint. 3. Sculpture Workshop (clay) .I believe art is a wonderful form of communication; sculpture can communicate values and messages from the past to act as a foundation for the future. Katerina will show you how to use clay to spark the pilot light of our imaginations and memories. These rekindled memories of our childhood or your toys or animals or dolls. We will use water-based clay so the students can have their sculptures fired in a kiln. This workshop will introduce you clay sculpture and discuss the creative process and determine your goals. Your group of 4 or more - 25$ for each participant. News about our discounts, workshops and programs. The pleasure of including yourself in the creative process is enhanced by doing it with like-minded people in a warm environment that the School provides. Everyone gets a great deal of individual attention. Imagination and individual choices are supported. At the same time, skills are developed in a carefully planned sequence.You can also choose the best time table for you. Creating art provides joy to the artist. 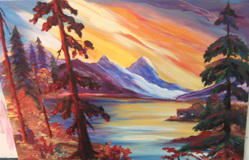 Visit Katerina Atapina Art School at 55 Glen Cameron Rd, Unit 205, Thornhill. Students from North York, Richmond Hill , Toronto,Vaughn and Thornhill come to our art school for art classes, portfolio preparation program and High School credits.Our children and adult art classes based on individual approach. Most of the students study classical art, sculpture, painting( watercolour, acrylic, oil), design and drawing. We all have talents inside us. The faculty of the Katerina Atapina's School is especially skilled at bringing the good inside us out. At the School you are given the opportunity to pursue your artistic passion, develop your creativity and to get fun in the intense focus of making art. It's the time to experience a success, the sense of accomplishment that come from developing skills under the guidance of inspiring teachers. Children and adults like experiencing joy when they come to art classes, meeting the challenge of going through several steps to create a perfect result. This is why so many people who have attended Katerina Atapina's School for many consecutive years, describe it as their second home. Come and discover a new way of learning, when you study classical art in a new exciting way or come perfect Birthday Art party !